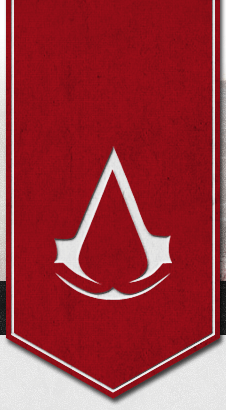 I realized I had made an Altair layout, but not an Ezio one, even though I like Ezio a lot more. So... here it is! Maybe I'll make a layout to cover each AC game :) My first attempt looked quite a bit different from this one. Instead of scrapping it, I managed to save part of the banner and turn it into this layout. This layout is not available for customization because you can change the site title yourself. Look for "BEGIN SITE TITLE" in the code. The zip comes with font files that you should upload along with everything else.